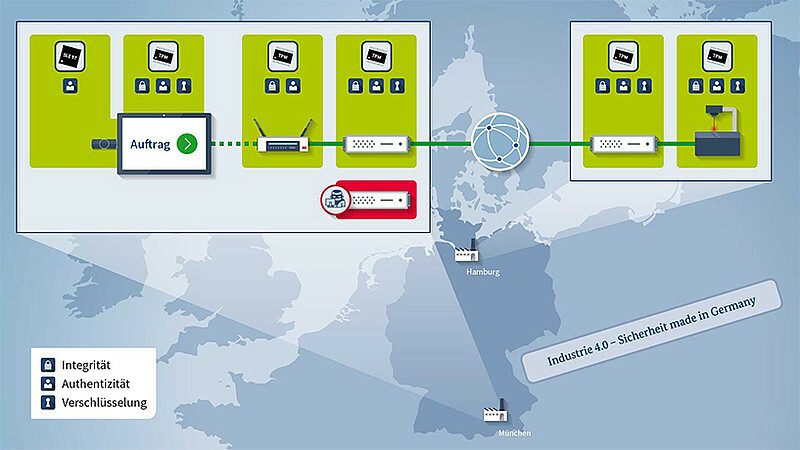 The demonstration we are introducing at the Hannover Messe shows how manufacturers can protect their production data in the age of Industry 4.0. 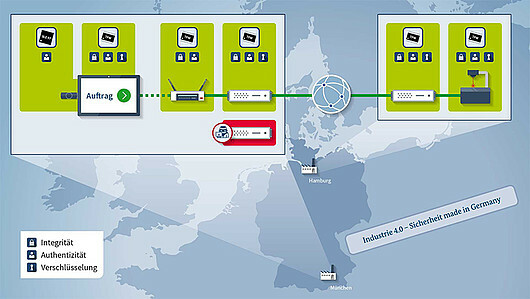 This model was first presented at the German IT Summit 2014 as the collaborative result of four German companies united by a single purpose: Bringing security “Made in Germany” to Industry 4.0. Visitors to Wibu-Systems’ exhibit at the Hannover Messe can see live for the first time the demonstration in action. In hall 8, booth D05, they can learn how secure communications can be set up for the manufacturing of individual components across remote sites.